Brand-new version of its award-winning system optimizer that now has a basic version offered free for life. New features include Action Center with Live Speedup and Privacy Protection improvements. Auslogics Software has announced the release of BoostSpeed 7, replacing the usual trial period with a free-for-life basic program version. 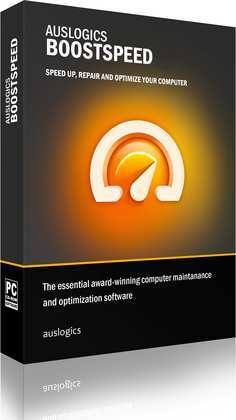 BoostSpeed is an immensely popular system utility suite that offers a wide selection of computer optimization and maintenance tools for users of any PC experience level. The program is intended for use on computers that run Microsoft Windows XP, Vista, 7, 8 or 8.1. The suite provides one-click cleanup and repair functionality and offers 19 separate tools covering most computer tune-up needs, such as registry cleanup and defrag, disk defrag, startup management, Internet optimization, privacy protection, recovery of accidentally deleted files, Windows tweaking and more. Version 7 presents a complete overhaul of the program structure, subdividing its features into two separate subversions – BoostSpeed Basic and BoostSpeed Premium. There is no trial version offered any longer, but users can keep the free BoostSpeed Basic for as long as they wish, giving them more time to evaluate the software and decide whether they want to upgrade for advanced functionality. With the new BoostSpeed version, freeware fans familiar with Auslogics Disk Defrag Free get a powerful system tune-up tool to add to their arsenal of free titles. BoostSpeed Basic provides one-click junk cleanup, system stability improvement and offers 8 maintenance and optimization tools that can be launched in addition to the main scan and repair for better results. Upgrading to the Premium version unlocks the remaining features, including one-click computer speed scan and repair, cleanup of privacy traces and 11 more advanced tools. The brand-new Action Center introduced in BoostSpeed 7 offers PC improvement recommendations based on each system’s current status. This includes Windows features that can be enabled for improved security, as well as additional applications that can be installed to cover essential system needs, such as antivirus software (if none is installed), data backup tools and similar. The Action Center tips help the user protect their data, prevent virus infections and avoid other potential problems, which can be especially helpful for novice users who have little experience in dealing with these issues. The Privacy Protection section in BoostSpeed 7 has been enhanced with added functionality, improved clarity in subcategory breakdown and better hints. Users can now review the kind of sensitive information that may be revealed, see a detailed list of items detected and control what portions get erased. The Live Speedup section (formerly LiveProtect) was expanded with 3 new tools added: Auto Defragmentation, Disk Priority Management and Desktop Protection. Along with the existing memory and CPU optimization tools, these new features provide real-time performance enhancement making the software even more effective for everyday use. In addition, Auslogics has made numerous other enhancements to the suite, most of them intended to improve usability and help novice users better understand the benefits each feature may provide. The All Tools section received a major overhaul, adding more detailed tool descriptions, result samples and links to more information available online. Within the main one-click scan and repair section, users now have more control over what gets removed by being able to review and exclude subcategories under each scanner. “Every new program version we release includes improvements made as a result of user feedback, and it’s even more true for BoostSpeed 7 than for any previous release,” says Ashley Miller, the company’s PR representative, “Without over-cluttering the interface, we have supplied BoostSpeed 7 with a wealth of useful information in the form of hints, detailed descriptions and links to make it even more user-friendly than it ever was. The added Live Speedup features, the brand-new Action Center and the overhauled Privacy scanner make BoostSpeed 7 more effective and powerful than ever, giving you better results every time you run the suite”. A free version of Auslogics BoostSpeed 7 is available from the publisher’s website at www.auslogics.com. The full program version can be purchased for $49.95, with one license extending to 3 PCs. Promotional discounts are offered through the website, as well as the publisher’s Facebook page and various software distribution channels.